Reston Association’s Design Review Board approved minor changes to the size and number of windows for previously approved architectural designs for the Tall Oaks Village Center redevelopment on Tuesday night. The redevelopment plans to transform the village center (12022 North Shore Drive) into a mostly residential neighborhood by adding 156 residential units, which include 42 two-over-two multi-family units, 44 single units and 70 multi-family units in two residential buildings. Nearly 8,500 square feet of retail and 5,800 square feet of office space are also slated for the site. On Dec. 19. Stanley Martin Homes officially purchased the residential portion of the property from Jefferson Apartment Group. Currently, Stanley Martin is completing the site plan and brought “small changes” to abide by the county’s zoning to the Design Review Board. Ultimately, the board approved the changes. 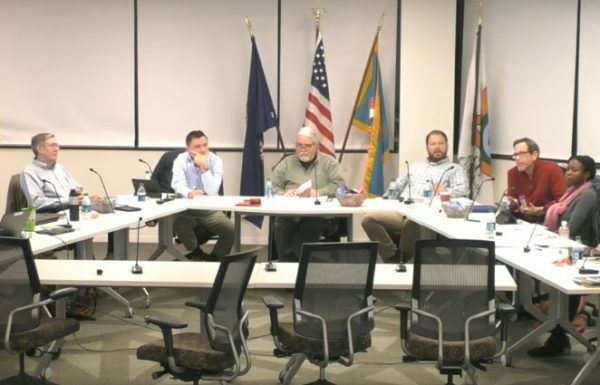 During the nearly three-hour-long meeting on Jan. 15, the Design Review Board also approved stream restoration with a year-long timeline for the Colvin Run Stream. Tree clearing is set to begin for the stream restoration on Feb. 4, with an estimated completion of the work sometime in the summer. Planting will then follow in the fall. The board also OK’d playground equipment and signs at the Primrose School of Reston (1309 N. Village Road). 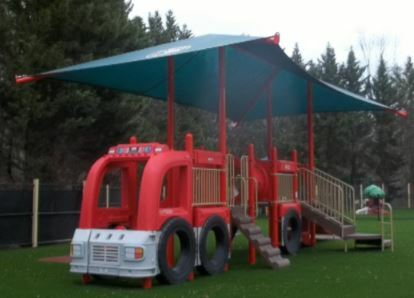 An affected party — who did not show up to the meeting — had previously raised a concern about the size and color of a red plastic fire truck in the school’s playground. W. Neal Roseberry, the board’s vice chair and architect member, was the only member to vote against approving the playground equipment’s appearance.